What does the values upgrade cost? 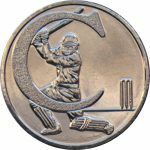 The upgrade, which shows current values in used and as-new condition for all of the hundreds of coins contained within the app costs £3.99. The February 2018 version of the app contains 1,1122 valuations, i.e. 561 different coin values in as-new and used condition. The upgrade includes one year of free updates to the valuations, which are made usually once or twice a month. « How large is the app?